An unconditional love is when other person’s happiness is more important than your happiness. When you have that feeling for someone, then you cannot deny the fact that you try to do everything possible to retain that happiness. 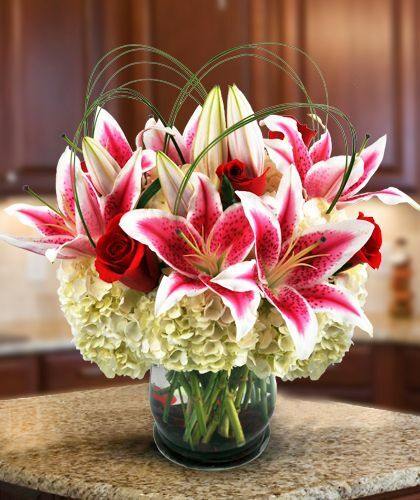 This exotic arrangement of red roses and pink lilies adorned with seasonal filler and placed in a glass vase is the perfect gift for the expression of unconditional love.